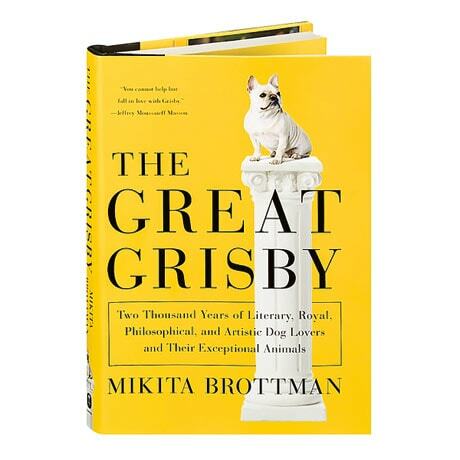 In 26 chapters from A to Z, with delightful black and white sketches at the headings, psychoanalyst, scholar, and cultural critic Mikita Brottman profiles literary dogs and their humans from fiction and real life, while exploring the multifaceted roles that dogs play in our world. Here are Picasso's dachshund Lump and Freud's chow Yofi, Bill Sikes's mutt Bull's Eye in Oliver Twist and Elizabeth Barrett Browning's spaniel Flush, whose biography was penned by Virginia Woolf. While gradually unveiling her own eight-year love affair with her French bulldog Grisby, Brottman ruminates on the singular bond between dogs and humans, and ponders whether her relationship with Grisby is nourishing, dysfunctional, or even unusual.